The perfect gift for cat lovers! Cats rule! And this funny, endearing look at cat culture shows how they've mastered the art of charming humans. Do you ever wonder how cats achieve the perfect blend of catitude and cuteness; how they can be both mild and wild? Here all the tricks of their trade are revealed as an alpha cat passes his wisdom to a new generation. Entertaining lessons abound, including a crash course on what to eat (mouse=do, gerbil=don't) and the importance of purr therapy to keep the humans calm. 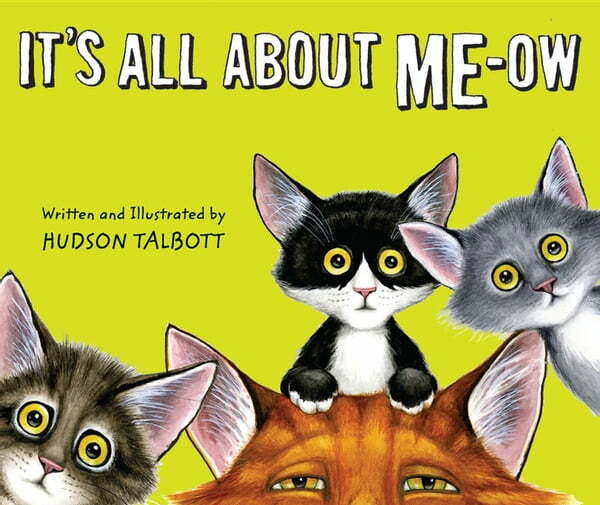 Hudson Talbott's spot-on humor celebrates everything we love about our fabulous feline friends, as well as the little things we put up with because we love them.